‘Age is a question of mind over matter. If you don’t mind, it doesn’t matter’. 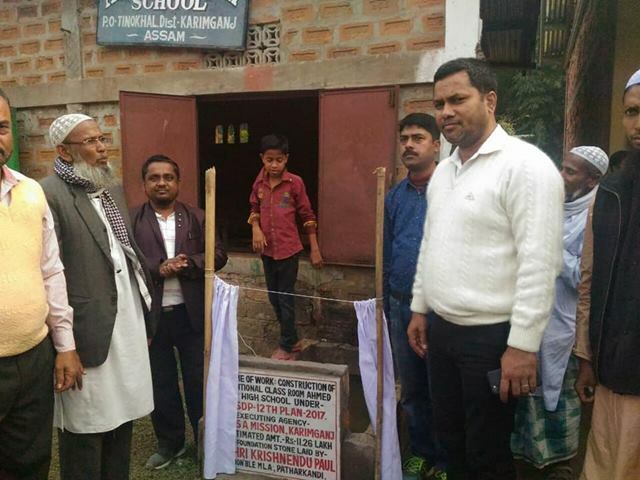 If we have the passion for working for the betterment of the society, it hardly matters.Ahmed Ali, an 82-year-old rickshaw puller from Assam’s Karimganj, is a proud man as he has been the man behind building nine schools for the poor children in his area. Ali had to drop out of school owing to poverty had ensured that no children are his village faces the same fate that he in his childhood did. Octogenarian Ali’s contribution to open schools for the poor in his area make him a ‘messiah’ for many underprivileged children, who are now making out to school. He made his life’s mission to ensure that every child in his village who wishes to study does so without having to drop out due to unavailability of schools and fees.Over the course of last four decades, this grand old man has established nine schools-3 lower primary, five middle schools, and a high school in Madhurbond and it’s adjoining areas. The three most common reasons for children dropping out of schools in India have been poverty, availability, and accessibility of schools.The scenario is even worse in the far-flung areas where children hardly get the opportunity to go to school, and this part of the country is an epitome. With his little earnings and plot of lands Ali owned, he did what many could not even imagine. Besides earning his livelihood as a rickshaw puller, he also did some other works in Guwahati and elsewhere in construction sites and others.It was difficult for him in the beginning as he had to arrange for everything before the government assistance came in. “I had to make the walls and other necessary things with the support of villagers and my well-wishers. Later the government assisted the schools,” he said. After successfully seeing these schools grown with the time, Ali now says to do whatever needed for the college in their neighborhood at the earliest. For his life-long efforts in spreading the light of education, Ali was recently felicitated by Patherkandi MLA.Lauding the octagenarian’s philanthropic work, Paul said Ali was a “rare personality” and announced having sanctioned Rs 11 lakh for the development of Ahmed Ali High School from the multi-sectoral development programme fund under the Union ministry of minority affairs. People look up to him as a source of inspiration, and the entire society is thankful to him for his valiant attempt of spreading education to the poor and the needy.Here’s hoping that Ali maintains his good health and fulfills his dream of setting up the college and also goes beyond and sets up many more.